“I think so many times we come to Philippians 2:5-11, we say, “Okay, here is a list of things Jesus did, now you have to go and do the same.” It’s almost like a formula. If we want unity in the church, we’ve got to do these things, and then unity happens. So we come to these verses, and we see Jesus as a formula. But Jesus isn’t a formula. Jesus is the object of our affections. Jesus is the one to whom we come and worship. Jesus is the one whom we gaze at and fall to our knees in awe of his majesty. Jesus isn’t just a good example. But so many times when we read this passage, or preach this passage we read it simply as Jesus is our example, now let’s go and do likewise. But I think if we read Scripture like this, we miss the big point. We miss the forest, for the trees so to say. 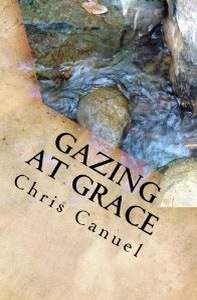 Gazing At Grace: Six Sermons To Show The Savior, click here to order.